Audio Hijack is from the creators of Nicecast, Rogue Amoeba. 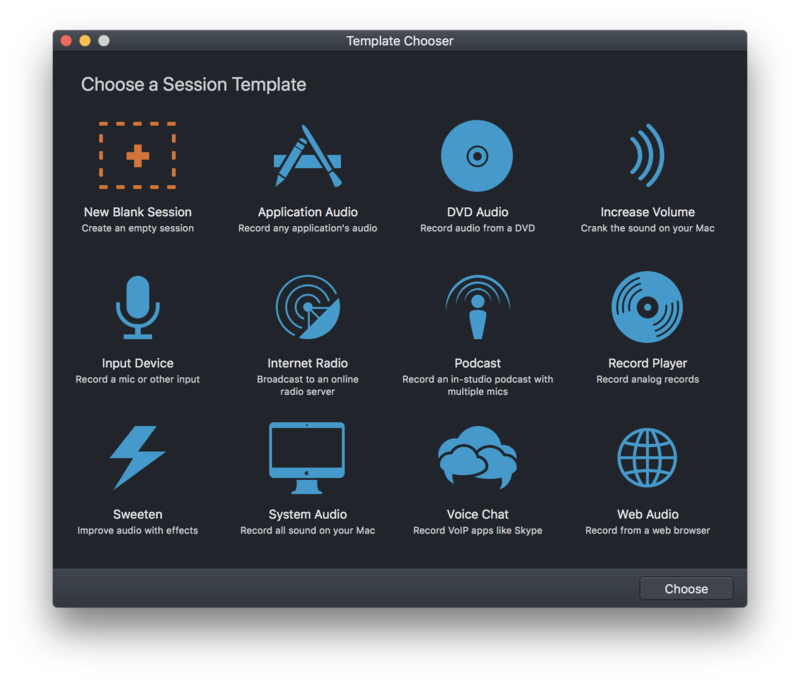 It's a beautifully simplistic DAW (Digital Audio Workspace) that's designed to make broadcasting, recording, and mixing shows extremely easy on any Mac. 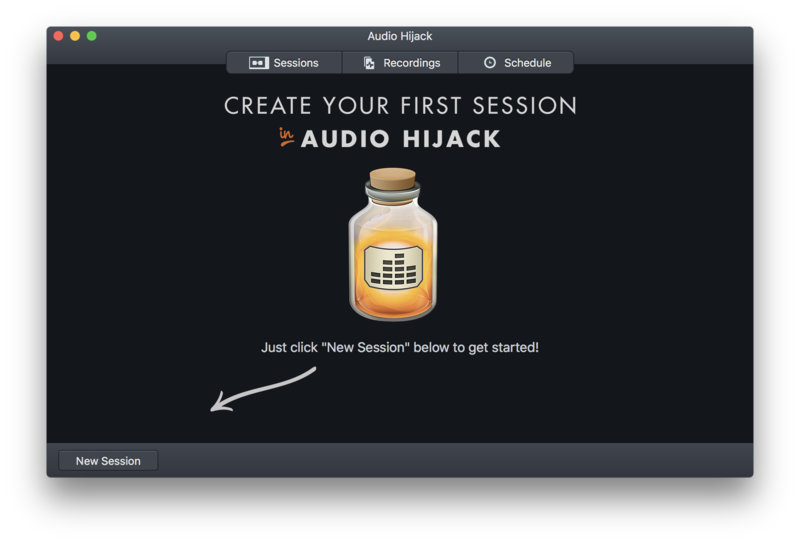 Audio Hijack uses blocks which you can drag and drop within the app. For example, you can send audio from your browser by dragging in the "Application" block and connecting it to your browser of choice, e.g. Google Chrome. Using blocks, you can send your audio to multiple places. 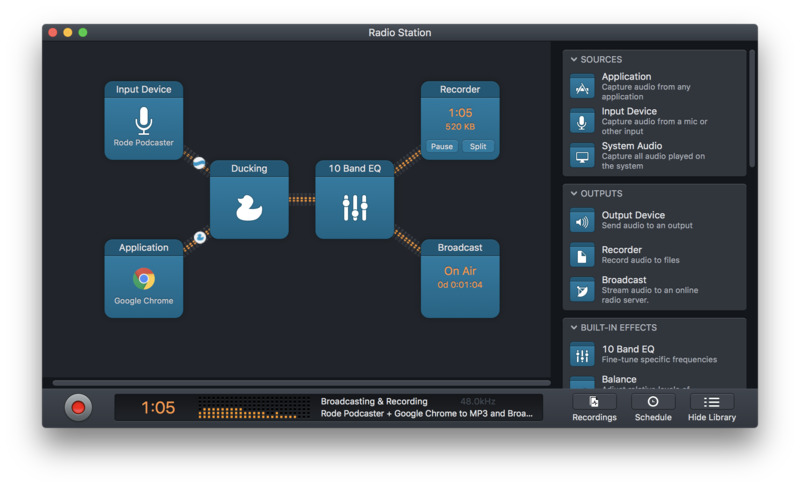 For example, you can broadcast to your radio station, record your show, and listen to through your headphones. There's also built-in effects you can sandwich between these blocks to adjust the EQ, balance, ducking, and much more. 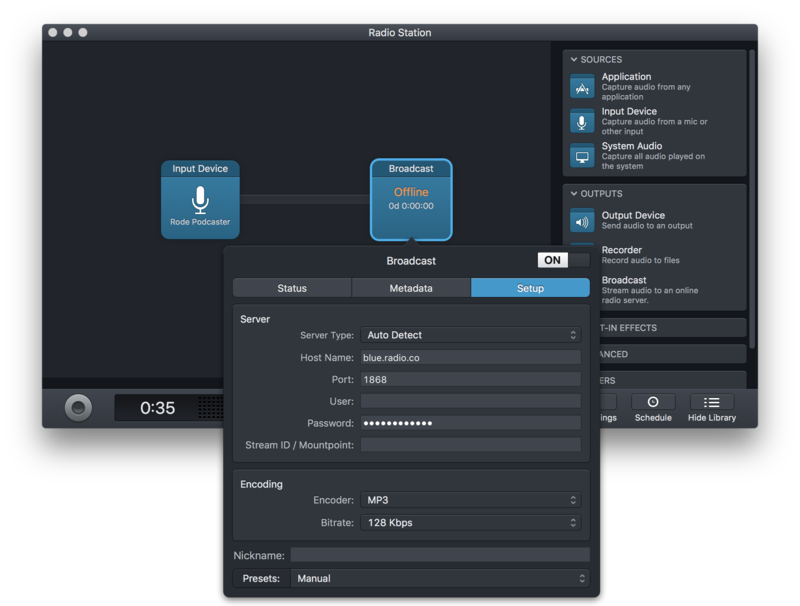 Broadcast to your Radio.co station by setting up Audio Hijack. Firstly, select New Session. Then choose New Blank Session. Rename your new session to something meaningful, like your radio station's name. From the Sources area in the side-panel, drag in Input Device, then select the microphone you want to use. From the Outputs area, drag in Broadcast. Select the Broadcast block. Under Setup, enter in your Host Name, Port, and Password. These details can be found under your Live tab in the Radio.co Dashboard. 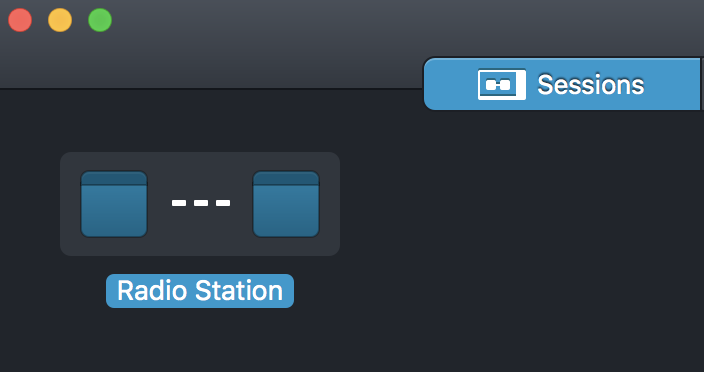 Broadcast to your radio station by selecting the button in the bottom left corner in Audio Hijack. It can take a couple of seconds for your stream to reach your station, when it does your connection should show that it's on air.